We all have our favourite LUFC memories, and many will relate to games away from LS11. Here, in reverse order, are my three favourite road trips following The Whites. 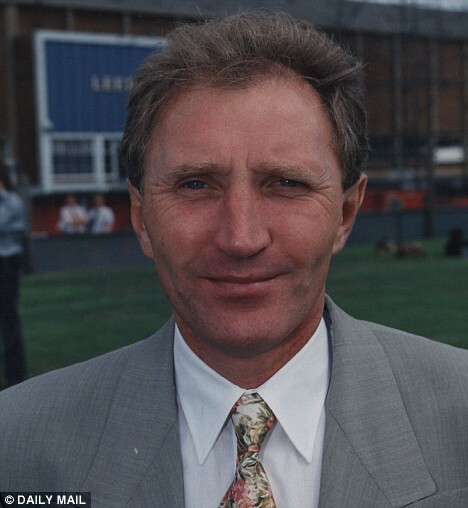 This was Sergeant Wilko’s first return to Wednesday since he had quit Hillsborough to become Leeds boss in 1988. It would also be Lee Chapman’s last game before his season-threatening FA Cup injury, which resulted in the drafting in of one Eric Cantona – with all the long term consequences that would entail. But Chappy was destined to be sidelined only temporarily, and he went out in the most emphatic style. There was a crowd of 32228 at Hillsborough, the usual vociferous contingent of travelling Leeds fans rivalling the home crowd for noise from the outset, and completely drowning them as the game went on. Leeds United were weakened, so it seemed, by the absence of the injured Gordon Strachan and suspended David Batty, half of their legendary midfield Fantastic Four. Any side, surely, would miss performers of such calibre. Leeds, though, seemed determined to make light of the problem, and tore into their hosts from the start. Full-back Tony Dorigo made an early darting run, cutting in from the left and making good progress down the centre of the pitch, before unleashing a right-foot thunderbolt that Wednesday ‘keeper Chris Woods had to tip over. From the resulting Gary MacAllister corner, Chris Fairclough rose to head downwards, and found Chapman in splendid isolation four yards out; his finish swift and deadly for 1-0. For a local derby, the contest had been decidedly one-way traffic – Chapman was to send two towering headers just wide before Carl Shutt had a scuffed shot smothered by Woods in the home goal. Then, a true champagne moment as Mel Sterland fed the ball to Chapman on the right. 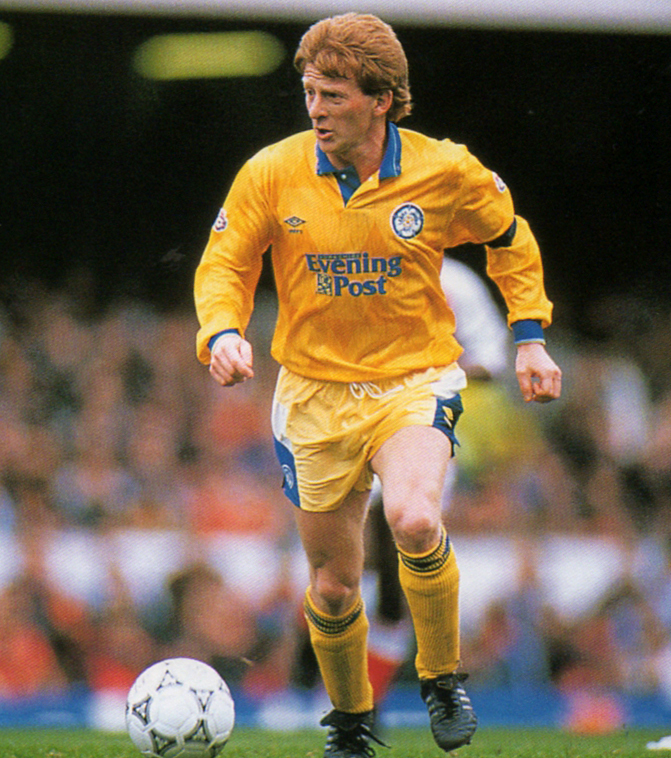 In a completely untypical burst of pace and control, Chappy surged between two hapless Wednesday defenders, raced into the area, and unleashed a shot that beat Woods completely, just clipping the frame of the goal to rapturous applause from the Leeds fans at the Leppings Lane End. I remember thinking at the time that anything was possible now, if Lee Chapman could do something so utterly out of character. And so it proved as, from a free kick awarded just right of centre some ten yards outside the box, Dorigo stepped up to absolutely hammer a left foot drive past the helpless Woods. Cue mayhem and cavortings as the Leeds hordes behind the goal, celebrated as clean a strike as you could ever wish to see, the ball a blur as it arrowed into the far corner with deadly precision and power. At 2-0 down, the home side were making increasingly desperate attempts to gain some sort of foothold in the match. This desperation was adequately demonstrated when, from a harmless-looking ball into the Leeds area, Wednesday striker Gordon Watson ran in front of Chris Whyte, continued on for another step or two, and then hurled himself into the air, landing in agonised paroxysms of simulation between a bemused Whyte and Leeds ‘keeper John Lukic. Such obvious fraud and villainy could have only one outcome, and the stadium held its collective breath for sentence to be passed on the miscreant. Instead – amazingly – referee Philip Don pointed to the spot. Whether none of the officials had seen the extent of Watson’s ham-acting, or whether they were moved by sympathy for the mauling Wednesday were taking from a rampant Leeds, it’s impossible to tell. The outcome was the same either way. 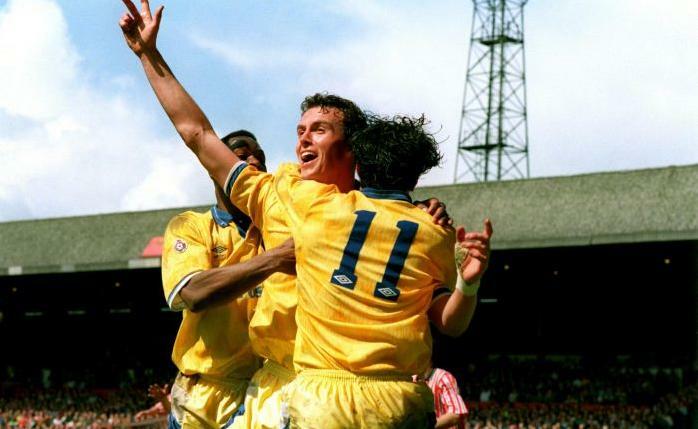 Ex-Leeds hero John Sheridan stepped up, saw his penalty brilliantly saved as Lukic tipped it against his right-hand post, and then gleefully belted home the rebound to give Wednesday a massively unmerited lifeline. This act of base and scurvy treachery required nothing less than a riposte of the utmost nobility and beauty, so we said to ourselves, though probably in more Anglo-Saxon terms. And, happily, that’s just what came to pass. Only six minutes after the home side’s ridiculous blagging of a comically unfair route back into the game, Leeds took effortless control again with a goal sublime in both its conception and execution. Lukic bowled the ball out to Dorigo on the left flank; he sent it first time down the line to Gary Speed, who took one steadying touch before sending a beautiful flighted cross into the Wednesday area. And there, inevitably, was Chapman, horizontal in mid-air, neck cocked to hammer the ball unanswerably past Woods, the perfect counterpunch to Watson’s knavish low blow. It was a gorgeous goal, sweeping the length of the left side, taking the entire home team right out of the game, and re-establishing the two goal margin which was the least Leeds United deserved at half-time. The second half that ensued was simply a story of how a blood-and-thunder Yorkshire derby turned into a stroll in the park for Leeds United. It seemed as if all the life had been sucked out of the home team – a Wednesday side who, let’s not forget, were unbeaten at home since the opening day of the season, and who would go on to finish third in the table. So they were no mugs, but Leeds United were absolutely irresistible on the day, and would have hammered far better teams than the hapless, bewildered Owls. It’s possible that Wednesday were simply embarrassed about that cringe-worthy penalty, possibly they were dog-tired, having been run ragged since the start. Whatever the case, their heads dropped steadily further and further as the game progressed, and they offered little resistance as Leeds proceeded to throttle the life out of them. Chapman completed his hat-trick five minutes after the hour, heading in after Speed had struck the bar from a corner. Poor Speedo was looking the other way, bemoaning his bad luck when the ball hit the back of the net after all, turning his frustration to joy. Then, perennial bit-part player Mike Whitlow ventured forward, just because he could, and rose unchallenged to meet Rod Wallace’s right-wing cross and head easily over a stranded Woods. It was left to little Wallace to administer the coup de grâce, striding clear after a shimmering exchange of passes in midfield to dink the ball over the advancing ‘keeper, and put the suffering home side finally out of their misery. A highly satisfactory awayday slaughter of the Wendies. This match is so famous that I barely need to recount the action kick by kick. The Leeds fans at one end of the San Siro were in fully, throaty voice for most of the proceedings, drawing incredulous glances from the attendant Carabinieri who were in full-on riot gear but friendly enough, muttering to each other about lunatic English tifosi (hooligans.) The first half was a decent contest – Milan were through already, but not disposed to give Leeds an easy ride – especially after paranoid noises emanating from Barcelona, who – nervous about their own prospects – had done their best to warn Milan off taking it easy against Leeds. So Milan pressed in front of a crowd of 52289, and their winger Serginho was causing Gary Kelly plenty of problems. In the 26th minute, a slightly soft penalty was awarded to Milan at our end of the stadium, and 6000 Leeds fans held their collective breath as Andriy Shevchenko took careful aim only to rap Robinson’s right-hand post, the ball bouncing away to safety as the masses behind our goal celebrated as if we’d actually scored. And then, miraculously, as the first half ebbed away, we did score. A Lee Bowyer corner from the right found Matteo rising majestically at the near post to meet the ball with a punchy header which soared high into the net. Cue utter pandemonium at the Leeds end as all the tension, passion and belief exploded in one almighty roar which almost lifted the hi-tec roof off the famous stadium. The party went on throughout half-time and into the second half, drawing more bemused glances from the Italian police; there was only a brief hiatus in the 67th minute when the superb Serginho deservedly equalised, but then it was mounting fan fever again all the way to the final whistle and beyond as Leeds held out to qualify for an equally difficult second phase of the competition. The scenes after the game are at least as famous as the events of the ninety minutes; the team coming back out onto the pitch in response to the demands of the faithful who were held back in the interests of crowd safety. What followed was described by respected football commentators (as well as Alan Green) as the best example of team/fan bonding they’d ever seen. Fans and players – even a certain Chairman – swapped chants and songs in a spontaneous celebration of a joyous night. Even the uncertain musical efforts of Lee Bowyer were greeted by a blast of friendly derision. It was a unique experience, and the Latin cops were clearly by now utterly convinced that these English people were absolutely barking mad. As football nights go, you’d have to travel a long way to find one more worthy of memory – only a trophy could have improved it, but the spectacle of the game and its aftermath is one I have seen imitated but never repeated. If you’re a Leeds supporter, you’ll have seen the goals from this game hundreds, thousands of time. It plays through now, all these years later, in the Football Highlights studio of my mind; joy for the home side as Alan Cork, gleaming of bald pate, pokes the ball home to give Sheffield the lead. Then, a midfield tussle in the swirling wind, as Leeds try valiantly to come back. A late first-half free kick, which Gordon Strachan races to take before the home defence can set themselves, he finds Rod Wallace in the area who tips the ball past home keeper Mel Rees’s attempt to save, defenders scramble to clear, only to hit Gary Speed who bounces the ball back to ricochet off Wallace – into the net. Pandemonium in the away end. Level at half time, we’re breathless with drama and the hurly-burly of it all, raucous with United anthems, nervous of what’s yet to come. Then I’m watching at full speed from the far end as Cantona and Wallace raise their arms in triumph, wheeling away in delight, and even as I wonder what they’re up to I realise that the ball has nestled in the Sheffield United net. A red mist descends, and I am utterly outside of my skull and beside myself in delirious joy and fevered madness, looking around me, roaring like a demented bull, face congested with blood, eyes bulging; I grab a helpless wee St John’s Ambulance man by his lapels and scream beer and spittle into his terrified face “Get me some oxygeeeennnn!!! I’m going to have a heart attaaaack!! !” The mad moment passes, I drop the ashen medic and some measure of sanity returns, but we’re still cavorting and diving all over each other, a seething, sweating mass of Leeds, because we know it’s over, we know that Sheffield are beaten, and we know that Man U don’t have an earthly at Anfield, not a prayer. We were going to be Champions; on that windiest and gustiest of days, a Gayle from Manchester City has blown the Scum away and decided in an instant the fate of all three Uniteds from Manchester, Sheffield and Leeds. And so, of course, it panned out. Later I watched mesmerised on TV as Liverpool beat a demoralised Man U, Denis Law and Ian St John trying to put a brave face on it, Elton Welsby’s foot bobbing away in thwarted anger as the script turned out just as none of them wanted. Ian Rush scored his first ever goal against Them, and it was settled late on as Man U concede a second. “And now the title goes to Leeds without any doubt at all” intoned Brian Moore in the ITV commentary as I sat there with tears of joy streaming down my unashamed face. Gary Lineker had called into the studio earlier to complain that Rod Wallace’s goal had been offside (it was). St John and Moore bemoaned that Man U had had no luck at all, and Welsby ground his teeth in the studio as the Man U fans outside hurled abuse at him, heedless of the fact that he shared their bitter disappointment. All was frustration in the media and the rest of football and Leeds fans everywhere utterly failed to give a toss. My finest hour as a Leeds fan, and my greatest ever awayday. Two from the same season, and one abroad that was “only” a draw – but each had a special appeal for me among the many away games I’ve seen. I could have chosen so many others, going right back to my first ever away game, a 3-1 League Cup win at Bolton in 1977. Still in the League Cup, there was that 6-0 win over Leicester City at Filbert Street, on a night when Robbie Savage never gave up, but proved that he was even worse than we thought. How could we have known that he’d be worse yet as a pundit? The golden memories are so many, I could possibly have managed a top ten quite easily. I’d love to hear which away games others rank as their best memories. On Saturday 8th January 2005, Manchester United played Exeter City in the 3rd round of the F.A. Cup. It was something of a mismatch on paper, but surprisingly a plucky Exeter team held out for a 0-0 draw, and took the holders to a replay. A significant achievement for the minnows, but this game was noteworthy for another reason; to date it remains the last F.A. Cup tie involving Manchester United not to have been shown live on TV. Even on the face of it, this is a remarkable statistic. Particularly in the earlier rounds, there are many matches from which TV companies can take their pick, and traditionally the perceived likelihood of an upset is a big draw. Given the perennial dominance of Manchester United until quite recently, it’s usually difficult to see much chance of a giant-killing, and the interest in games involving them, you might think, will be mainly for those occasions when they’re drawn against a Chelsea, or a Liverpool, or maybe even a Manchester City or an Arsenal. Looking at the list of games included in this amazing run of uninterrupted TV spotlight, some of them really do make you wonder what the companies concerned hoped to achieve, with the chances of an embarrassingly one-sided contest surely outweighing by far any prospect of a surprise. It begs the question of whether broadcasters are putting too high a priority on audience over entertainment value. There may be a certain piquant charm in seeing the likes of Burton Albion gazing wide-eyed at the immensity of the Theatre of Hollow Myths, but some of the ties televised have lacked even this saving grace. Middlesbrough, Fulham or Reading at home? Hardly sets the pulse racing, does it? Ten years on from that neglected Exeter tie, the unprecedented run of unbroken TV coverage shows no sign of ending. Despite a less than challenging tie away to either Accrington Stanley (who are dey??) or Yeovil to kick off their 2015 FA Cup campaign, the Pride of Devon have once again been selected for live coverage, much to the joy of their loyal fans from Milton Keynes to Singapore and back again. Any hint of complaint about Manchester United will, naturally, bring anguished howls of protest from the direction of London and Devon, as hard-core Reds, some of whom may even have visited Old Trafford, loudly complain about this latest manifestation of “jealousy”. It’s become rather a knee-jerk reaction, but there’s really not a lot of foundation for it. Anyone truly motivated by envy (jealousy means something different, chaps, look it up) has a simple solution at hand – simply jump aboard the bandwagon. The prevalence of the Old Trafford club on our TV screens will certainly garner them increased “support” from those who just want to be identified with such a vulgar example of a club gorging (until lately) on success. It is the more negative effect of blanket coverage that should be worrying, not so much for Manchester United, but for the sport itself in a wider sense. There is a danger here, after all, that the media have not only created a monster, but that they are actively encouraging that monster to eclipse all their rivals. The basis of any sport must be healthy competition, but there is disquieting evidence that the playing field has not been level for a long time now. It doesn’t take too much digging to unearth some unsettling trends. One study over a number of matches suggested that 88% of all marginal decisions went the way of Manchester United, and of course there was also a distinct lack of penalties awarded against them in league games at Old Trafford over a period of years. There have also been instances of referees who had displeased former tyrant manager Alex Ferguson mysteriously disappearing for months from their fixtures. In a game of fine margins, as any game is at professional level, evidence that one club enjoys preferential treatment is a matter of concern. Such a trend, given the amount of money flowing into the game, could easily lead that one club into an unhealthy dominance, to the detriment, ultimately, of the spectacle as a whole. Fierce competition is so crucial to any healthy sport, that the importance of this principle is difficult to overstate. Success, they say, is all about the steady accumulation of marginal gains. Manchester United as an institution appears fully to appreciate this, as any club should. But these days, the media are the game’s paymasters, particularly the TV companies – and when they start favouring one club above all others, then you have to fear for the ability of others to compete in the long term. It’s a matter of concern – and it could easily become a self-fulfilling prophecy, as more coverage (of an almost exclusively favourable nature) promotes more support ever further afield for “United” as the media love to call them. And the more support they gain, the more of a market there is which will feed on their success, so the more commercially desirable their success will become – and commercial pressure speaks volumes when knife-edge decisions are to be made. It would be difficult to imagine that any other club should have such a long, unbroken run of live TV coverage in their F.A. Cup ties. In the 3rd round of last year’s competition, they figured in their 42nd consecutive such event when Swansea knocked out the media favourites at the earliest stage possible amid national media mourning with black armbands de rigueur in press rooms everywhere. As a Leeds United supporter, I’ve had cause to bless the tendency of TV companies to cover even the games where “United” seem certain to roll over the opposition. On January 3rd 2010, Leeds, then of the third tier, triumphed at Old Trafford before a live ITV audience, sending the Champions spinning out of the Cup at the first time of asking. But satisfactory as this was, it’s the exception, not the rule – normally the colossus will trample the underdogs, and their millions of fans worldwide will be happy. But what about the rest of us? Are we to continue paying our satellite subscriptions, and buying our match tickets, for the privilege of watching Man U clean up as the stakes become higher, and the odds become ever more skewed in their favour? Nowadays, of course, there is hot competition between various companies for the right to show plum ties. Rightly or wrongly, the men in suits behind the scenes seem to regard any Man U tie as “plum” – whatever the opposition. They will wring their hands and argue (probably rightly) that if they don’t take the option of showing the next Pride of Devon cup event, then some other TV station will. For better or worse, there appears to be no prospect of any cup match featuring the media darlings being left off our screens – however boring, turgid or predictable such games might frequently be. So the view seems to be that Man U are good for the TV companies, good for audiences, good for advertisers – and clearly the guaranteed coverage is good news for Nigel McWurzel and his plastic glory-hunting chums in their bedsits in Torquay. But it’s not good for the game, not good for fairness of competition, and decidedly not fair on other clubs. Will this situation be tolerated ad infinitum? probably not. 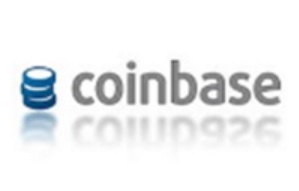 At some point, worms will start turning and – at the risk of mixing metaphors – maybe the bubble will finally burst. Then, chill winds of reality will blast through the offices of the TV moguls. Don’t say you weren’t warned. Talk to “football fans” of a certain glory-hunting persuasion, and at some point you’re more than likely to hear “Yeah, mate, but there’s only one United”. Whether the accent of the speaker is Cockney, Irish, Devonian, Midlands or even – may God forgive them – Yorkshire; the pitiful delusion is common to all. They “support” Man U, and they take it as gospel that they and their cosmopolitan breed follow the one and only, divinely anointed United. The reasons for this can largely be laid at the door of our lazy and complacent media, who certainly do love their cosy tags and nicknames. It saves them the bother of thinking, and that makes the job a whole lot easier for those who just want to churn out popular content-free pap. So, as far as the various “sports news” outlets are concerned, “United” means one thing, and one thing only – and the media’s favourite myth is perpetuated. Part of the problem, of course, is that the full given name of the Trafford outfit is misleading – because they’re not actually based in the City of Manchester – and also difficult for journalists of a certain age to say. If you listen to Five Live for any length of time (I try not to, due to the annoying noise of the lamentable Alan Green), you’ll hear from Jimmy Armfield, bless him, who always tries to give it a go and use the full name – but it comes out as a bit of a corruption: “Manshernitid”. Not too satisfactory, and not all that accurate, but a lot better than the arrogant assumption that one of football’s most popular suffixes can be used to refer to Man U alone. That abbreviation “Man U” is preferable, and even easier to say; but the Man U fans don’t like that for some reason, in fact the Man U fans object to it quite strenuously – so much so that to my mind it forms the single most compelling reason for calling Man U “Man U”. And anyway, it’s a lot less insulting than my usual name for them. The fact is of course that there are many more Uniteds than just the Pride of Devon. Some have been “United” longer than Man U have – Newcastle were United when Man U were merely Newton Heath. 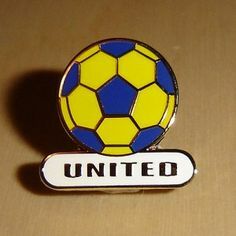 Some of them have more of a right on etymological grounds – “United” after all refers to the unity of a district behind one team. So take a bow Newcastle again, Leeds as well, even Hartlepool and Colchester. Not to mention the club just down the road from so many “Nitid” fans – Torquay United. Let’s face it, Manchester – being mainly Blue – isn’t united behind Man U, any more than Sheffield is behind Sheffield United (due to the prevalence of Wendies). So shame on you both, and get your act together. Whichever way you look at it, the journos’ and commentators’ use of “United” to refer to Man U is as inaccurate and confusing as it is improper and unjustified. They even do it during live TV games where the opposition is another United – West Ham or Newcastle, for instance – and then you hear them clumsily picking themselves up and correcting the mistake, only to do it again two minutes later. It’s lazy and it’s unprofessional, but regrettably it seems to have seeped into popular culture, much to the delight of the Man U fans who, in their crippling insecurity, seize on anything they feel will back up their delusion that they follow a club which is in any way unique or special and of course “big” – especially now that they don’t have it their own way any longer ON the field. Sigmund Freud would have a field day with most Man U fans, and then the electrodes would have to come out. There is a certain element too of the media going along with Man U’s own incessant self-promotion and relentless branding. It suits the club to snaffle the term “United” all for themselves; it suits their marketing strategy to feed the mass delusions of their global fan-base. So they peddle the “Only One United” myth just as frantically as they do the “Biggest Club In The World” fiction, and the media obligingly fall into line behind both lies, much to the amusement in the latter case of true giants like Real Madrid, Barcelona. Arsenal and of course Leeds United. Then again a lot of the media have considerable vested interests in the ongoing success of Man U; more papers and satellite subscriptions are sold in Devon and Milton Keynes for every gratuitous mention of “United”, and let’s face it: the bulk of their “support” have no real interest in the actual location of Old Trafford anyway; they’ve never been there and probably never will, they just wish to be associated with the media phenomenon that has been built up over the years. Next time you watch a live TV match between any two clubs apart from Man U, listen out for a mention of their name; I guarantee you won’t have to wait for long. And that’s a little bit more reassurance for little Tarquin in Paignton or Torquay that he chose the right club to “support” and that Daddy bought him the right shirt. All of this fits the bill very nicely in terms of commercial gains and the ongoing success of the Premier League leviathan as it thunders on, enriching the rich and crushing the rest – an apt metaphor for society at large. But is it good for the game in the long term? How much more can the media afford to inflate one club above all others? Any football club needs realistic opposition to justify its very existence in a competitive environment; how much more can the media afford to marginalise the competition? It’s about more than the silly hi-jacking of the term “United”, the manifestations of bias and favouritism extend into every corner of the way our game is run, and the statistics make for worrying reading in a game of fine margins. It’s not really a level playing field anymore, and the recent predominance of the media’s chosen “United” is a barometer of this sad fact. One day, inevitably, the Premier League bubble will burst, as any over-inflated bubble eventually must, and then it will be time to look for where to place the blame. Will Man U by then be part of a European Super League, where they really ARE the only United? That might just be the most likely model for our domestic game going forward, and the way things are now I’d take a deal of persuading that it wouldn’t be an improvement. First though, they’d obviously have to sort out the current refereeing situation on the continent; as things stand Man U don’t have it as easy over there as they do domestically, and that’d never do, would it? Meanwhile, we can expect the Big Lie to carry on being pushed by a media that doesn’t seem to have a clue what’s good for it in the long term – and how much longer will it be before Man U drop the tiresomely geographical “Manchester” from their badge? After all, they dropped “Football Club” a long time ago, and it’s not as if the bulk of their “support” can identify with the northern city which is home to the current Champions, just over the border from Trafford. If it made commercial sense, they’d do it; bet your life they would. Watch this space – nothing surprises me where Man U are concerned. Mark “Ker-CHING” Byford: one-time Leeds fan, perennial grasping hypocrite. Whichever club you follow, you like to think that your fellow fans are, on the whole, jolly fine fellows – lads and lasses all. Equally, you hold dear the notion that the fans of “that other lot from ovver t’hill” (Man U, for any Leeds fan worth his salt) are a ridiculous bunch, amusing and repellent all in one, fodder for those of us who revel in laughing at the Pride of Devon. This mind-set prompted me to write about Man U’s Top Ten Embarrassing Celebrity Fans, an article which was, I’m pleased to say, widely read and well-received. I’ve a Spurs version in the pipeline; I do like to pander occasionally to my own petty prejudices. Every now and then, though, you come across such a repellent example of loathsome slitheriness among the ranks of your own beloved club’s supporters, that you just have to hold your hands up and say: “It’s a fair cop. We’ve got a right one here.” It’s happened to me, today. I’m not talking about the vile Savile (indeed, I have a picture of him in a Liverpool FC shirt). I’m talking about someone alive, kicking and doing very nicely for himself indeed, thank you. Ladies and gentlemen, I give you Mark Byford: former Deputy Director of the BBC, new author, Leeds United fan, expenses claimant extraordinaire and enthusiastic proponent of what can best be described as the “Byford Brand” with a view to the ongoing feathering of his own already plush nest. Mark Byford featured on BBC Radio Five Live just this morning, eager and ready to be interviewed about his first book which was inspired, so we’re told more than once, by a shaft of sunlight shining on the name of a soldier, Larry Byford, on a war memorial in America. The coincidence of names led Mark Byford to research and write a book about the American Byford, fallen in conflict in Vietnam, along with the wartime experiences of his own father Lawry Byford. A neat idea and doubtless quite moving. The wisdom of Byford in sticking his head above the parapet at this particular time, though, might be questioned by some who feel he still has a little embarrassment to live down. Mark Byford, after all, is the man who walked away from the loss of his job at the BBC with twice his contractual severance entitlement, so that he trousered a cool £1 million on top of his extremely generous final salary pension entitlement. Perhaps he felt that this sensitive issue would be overlooked in the eagerness of the interviewer to help him promote his book. Big mistake. Try as Byford might, he was unable to shake Derbyshire from this persistent snap, snap, snap onslaught which in the end left him bloodied and bewildered as she watched narrowly from a neutral corner, fangs still bared, ready to renew her attack at any time. His quandary was clear: he didn’t want to be seen to claim he deserved the money, but he didn’t want to admit that it was undeserved, unjustifiable and contextually grotesque. The word “context”, ironically, was one coping strategy he brandished again and again, though with an amateurish petulance that defeated any attempt at calm or cool. He was simply out-thought and out-fought, run to ground, his desired cosy “book-plug” interview metamorphosed before his horrified eyes into a pitiless exposé of his self-seeking greed and arrogance. It was with mixed feelings that I listened to this interview. At first, I didn’t identify the author being invited to promote his book with the grasping executive walking off into Austerity Britain with his £1 million wad. I wasn’t even sure why I was taking against him so – perhaps it was the unctuous tone with which he spoke of heroism and duty, whilst all the time emphasising the hooks and links a writer likes to employ to make his work more readable. Only when Ms Derbyshire switched from plug facilitator into attack mode, did I make the connection – and then I just had to marvel at Byford’s willful resistance to the notion of “moral wrongdoing”, subtly advanced with all the finesse of a battering-ram by the merciless Victoria – as opposed to strict legal and contractual rights and wrongs. 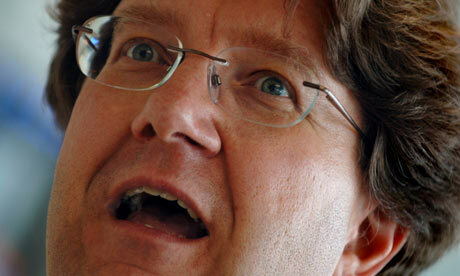 And, blindly, blunderingly, he kept on using this word “context”. Millions out there must have been wondering – if context is the thing, then in the context of austerity, painfully slow national recovery and widespread suffering, especially at the unregarded bottom of the pile – how on earth can such an obscene level of severance pay, on top of a sleekly fat pension, possibly be justified? Which is what, time and again, from every direction, try as Byford might to avoid it, he was being asked – and refusing to answer. Because there is no answer that amounts to justification. And it turns out that there is much more for Byford to justify, if he possibly could. A litter of extravagant expenses claims drifts in his wake, going back years – the man has a sleaze quotient an MP might envy. His new book uses the loss of an American soldier in a long-ago conflict as its prime mover. I wonder if the soldier’s family will benefit from its sales? I do hope so. The e-book edition – which is, after all, just a stream of bits and bytes flowing smoothly from the ether, production overheads negligible – is ambitiously priced at an eye-watering £17.72. Clearly, somewhere along the line, Byford is still feeling the pinch – or maybe he feels that the Byford Brand commands a unit price of that order, for a first book too, simply because, well, it’s the Byford Brand. When Lord Birt, outgoing Director General, favoured Byford as his successor, the Governors in their wisdom chose Greg Dyke instead. Our hero put a brave face on it, and joked away the pain, claiming still to be friends with the man who pipped him. 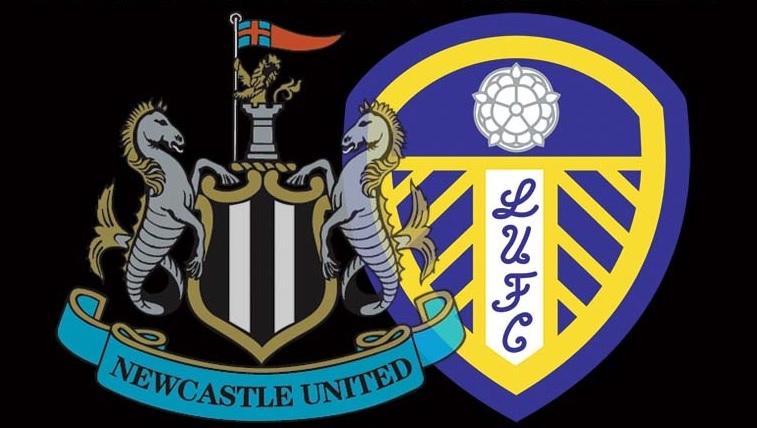 “He supports Man U and I support Leeds United, and that’s the biggest problem we will have – he supports the worst team in British football and I support the best.” All good knockabout stuff, and a laddish tone calculated to appeal to the LUFC fan in the street. But for once, I think the BBC got it absolutely right to prefer the Man U fan to the man who claimed as far back as Leeds University days to follow Leeds United – though acquaintances detected no passion for the club in him and suspected that it was a front for his research into criminality among football fans. As with so much of his subsequent life and career, it would seem that – even back then – Mark Byford was mainly concerned with what was best for Mark Byford and his nascent Brand. He’s frankly not the sort of bloke I care to have associated with my beloved Leeds United AFC – and nor is he the sort whose pockets I’d wish further to line by purchasing any book he writes. I happen to think that the singularly undeserving and opportunistic Mark Byford has done quite well enough for himself already. 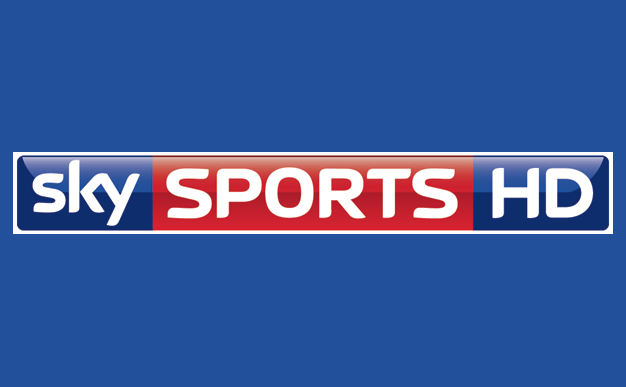 In the wake of this week’s Capital One Cup 3rd Round ties and the draw for the 4th round of the competition, a looming crisis for the BSkyB organisation – rights holders for live TV coverage – has been revealed. The draw has thrown up ties between Newcastle and Manchester City, clearly a glamour tie – and also, before the determination of the West Bromwich versus Arsenal 3rd round game, the winners of that were pitted against Chelsea. Arsenal duly went on to knock West Brom out on penalties, to confirm a London derby against Chelsea at the Emirates – and Sky TV were thrown into immediate crisis. The problem lies in the unacknowledged Sky protocol known within the organisation by the secret code-phrase “Some Clubs Ultimately Matter” (SCUM). The origin of this protocol goes back at least eight years in the case of the FA Cup. Statistics for the secondary League Cup competition are not available owing to its comparative lack of importance. However, a Sky TV spokesperson admitted that the last Man U game not to have been broadcast live was “a bloody long time ago, like when Noah was a lad”. The SCUM protocol is of such importance to Sky TV’s marketing and commercial departments that it is regarded as the prime reference document when live TV games are chosen. Hence the dilemma now being faced by decision-makers, who normally at least attempt to put up some sort of justification for selecting yet another tedious Man U stroll at an embarrassingly quiet Theatre of Hollow Myths. Off the record, a Sky commentator remarked, “We’ve got a problem this time. People are going to want to see the two obvious stand-out ties in the next round. Newcastle v City and Arsenal v Chelsea are both huge. We’ll struggle to justify leaving one of those out to cover Man U reserves diving for penalties against a pallid side like Norwich”. There was some glimmer of hope for the Sky executives in the short time between the draw being made and the end of the West Brom v Arsenal tie. Sky Sports News covered the penalty shoot-out at the Hawthorns by remote reporting, and it would appear that pundit Alan McInally had failed to read the SCUM script. Executives and studio presenters alike cringed as the Scot egged on Arsenal’s collection of spotty pubescent junior footballers to convert the penalties needed for victory. It is expected that McInally may be carpeted and reminded of his responsibilities to shareholders. Sometimes, I appear to be bang to rights on a charge frequently leveled at me by friend and foe alike: namely that I hate Man U more than I love Leeds United. This evening’s Capital One Cup fixtures would be a case in point; an occasion when I would have to hold my hands up and say: Yes – my priorities are altered tonight. Given a choice between Leeds progressing and the Pride of Devon getting stuffed by the Scousers at the Theatre of Hollow Myths, then I’d have to go for the latter. I know that is base treachery and quite the opposite of the way in which I should behave – but I’m too long in the tooth and perhaps too cynical to look at things through those old, stardusty, yellow white and blue-tinted specs I used to wear. So fine – tie me up and burn me for a heretic – but I’ll be watching Man U v Liverpool tonight, and screeching for a Reds victory (the real Reds, not the plastic variety). I may even forget there’s a game going on at St James Park, Newcastle. Disgusting, the average, bone-headed, blinkered fanatic will bellow at me. Leeds first, last and foremost. Well, I can see that point of view, but you have to be a little bit pragmatic too. Sure, it would be nice to progress in this Cup. I have a very good friend who supports the Toon, and I just know he’ll give me hell if they beat us. Despite his protestations that he’s not bothered about the result and indeed that he’s jaded with all things Newcastle right now, I can tell he’s nervous about this tie. He knows he’ll have the bragging rights if the Toon prevail, even though that’s the way it really should pan out, given the relative strengths of the two squads. Equally he knows that I’ll make his life a misery if Leeds happen to win. And that would be nice. But I won’t despair if we lose – we have bigger fish to fry, after all. Look at last season in the League Cup. Joy unconfined when we beat two Premier League clubs at Elland Road. The bunting hung out and street parties as we celebrated a home tie against old foes Chelsea. Ecstasy as we led 1-0 at half time – and then the sky fell in and we got murdered 5-1. When you’re at the current level of Leeds, the happiest of Cup runs ends in tears. Bradford City know that harsh lesson even better than we do. With Cup competitions, the best attitude is to expect the worst and welcome any better than that with open arms – but there’s no point getting too upset about it, whatever happens. Since I’ve been a Leeds fan, I’ve seen us lose in every cup competition we’ve entered, every season, for 38 years. You get used to the incessant disappointment, and the pain becomes more of a numbness. Every now and then though, you reach a semi-final and the pain of defeat is more acute. Twice we even reached a final; they were the unkindest cuts of all. The Germans have a word for the way I feel about nights like tonight. Schadenfreude. For those who don’t know, it means taking delight in the misfortunes of others. Every now and then, Man U serve me up a big, tasty dollop of Schadenfreude and I’m a happy man – quite as happy as I am with the occasional victories of Leeds United. The lads from Salford were kind enough to oblige me in this way on Sunday as they meekly got murdered by their more illustrious neighbours City from over the boundary in Manchester itself. Joy abounded in our house; we didn’t kill the fatted calf, but we did lash out on a celebratory takeaway. On January 3rd 2010 I got both sides of the bargain – humiliating defeat for Man U as well as an unlikely win for little old third-tier Leeds as the latter visited the former and won 1-0, dispatching the favourites from the FA Cup. A whole herd of fatted calves wouldn’t have done justice to that occasion. My career as a football fan hasn’t had too many positive highlights – that’s just the way the cookie crumbles; if you’re going to follow your local team instead of glory-hunting like those sad, inadequate Man U fans with their deeply compensatory behaviour recalling the teachings of Sigmund Freud – then you’re going to spend most of your time dealing with disappointment. It’s the nature of the beast. How much better then, to have a fall-back position, psychologically speaking. That’s what I have. Every time Leeds let me down, I have a second chance of happiness that weekend or midweek. Often, of course, I am let down again. I happen to despise the most undeservedly successful team of the era, so disappointment is often my portion there too – I am usually denied my helping of Schadenfreude. But when it comes around – oh boy, do I relish it. Through the thin and thinner of being a Leeds fan, it’s been those delightful occasions of Man U misery and despair that, frequently have kept me happy and ready for more. Otherwise I suspect I’d have given up on football long ago, much as other aging former enthusiasts have. There is a limit, after all. So tonight, I have two shots at happiness and satisfaction – and due to the preferences of the TV companies in these matters I shall be concentrating on the negative side of things, hoping for more Man U misery, cheering on Liverpool as they aim to knock the Gloryhunters out. If it happens, I will be happy, whatever has happened up in Newcastle. And if Leeds happen to have pulled off a surprise against the Mighty Barcodes I shall of course be happier still. But you have to take your satisfaction where you can, and if Man U lose tonight, they’re OUT. 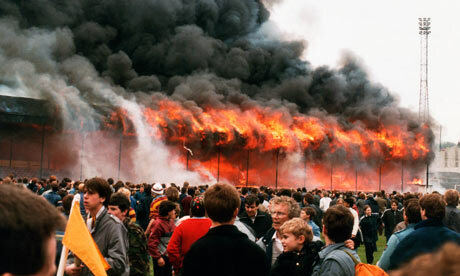 If Leeds win, we’ll simply postpone our own demise in the competition, but it’ll surely come sooner or later. So good luck to both my teams tonight, but if I have to pin my colours onto one particular champion, it’ll be the Reds of Liverpool as the enter the lists looking to cheer us all up by ending the Capital Cup involvement of Man U. If you should happen to be a football fan – as I am, and have been these many years, since days of yore with short shorts, middling ability and long sideburns – then you may well be in the habit of switching on the TV occasionally to watch the glitzy offerings of the munificently funded Premier League. With its incomparable array of prima donnas and fabulously wealthy superstars, prancing athletically around a pristine and manicured football pitch in the very latest state-of-the-art stadium (constructed courtesy of Meccano Inc.) – it’s a far cry from the heyday of The Football League, Divisions One to Four. Back then, men were men, refs were nervous and physios routinely cured ruptured cruciates or shattered thighs with a damp sponge and hoarse exhortations to “gerron with it” – or so it seemed. Full-backs with legs of the type more usually to be found on billiard tables would careen through the mud at Elland Road or Anfield, some flash, quivering, overpaid at £200 a week winger in their merciless sights, destined to be afflicted with acute gravel-rash. Centre-backs with foreheads like sheer cliffs would head muddy balls clear to the halfway line, get up out of the mire, groggily shake their mighty heads, and then do it all over again – for the full 90 minutes, Brian, giving it 110%. The good old days, without a doubt. There is little that the modern game has in common with those far-off, non-High Definition times when some top-flight games weren’t even covered by a local TV camera for a brief clip on regional news. Now, every kick of ball or opponent is available in super slow-mo for in-depth analysis by a battery of “experts”, from a dozen different angles. The game today is under the microscope seven days a week, where then it was viewed only from afar, limited to highlights from a select few stadia every Saturday evening and Sunday afternoon. Even now, the smell of hot ironing and roast beef with Yorkshire Pud will take me back to Sabbath afternoons sat contentedly before “Sunday Soccer” as Billy Bremner and Co dismantled the hapless opposition. This was 1972, when Leeds might well have won pretty much everything, but had to settle in the end for their solitary FA Cup triumph, missing out on the Title right at the death in typically controversial circumstances. Leeds won far less than they should have done; a combination of official intransigence, their own inherent self-doubt, Don Revie’s crippling caution and superstitions – together it must be said with some shockingly bad luck – limited their trophy haul to a mere trickle when it should have been a flood. But those flickering images of arrogant dominance and untouchable skill revealed also an unbreakable brotherhood and grisly determination that spoke of a very special team indeed. 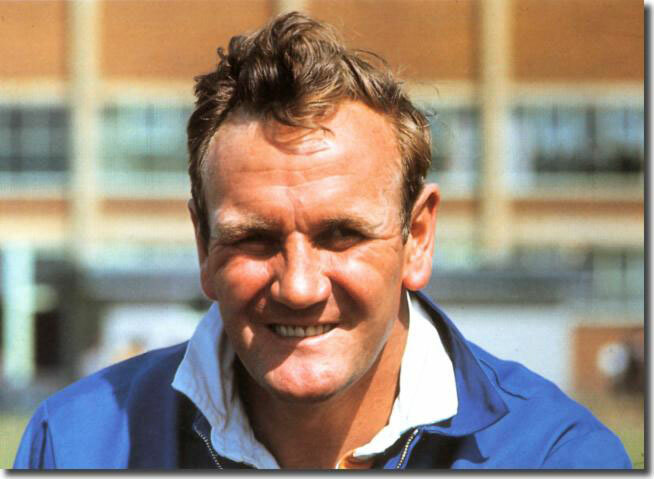 The resonance even today of that oft-repeated tag “Super Leeds” says far more about the status of Revie’s side than any mundane tally of trophies possibly could. In those days, of course, the gulf in ability between Leeds United and Southampton, described by Match of the Day commentator Barry Davies as “an almighty chasm”, was just that. The gap in class was achieved on merit. It wasn’t backed up by any such gulf in the relative earnings of the men in white and the demoralised Saints, or players of any other club. The playing field back then was very much more level than it is now, when the top few clubs – in an apt metaphor for society at large – cream off the bulk of the income, leaving the rest to feed on scraps. The pool of possible Champions was consequently greater – Derby County won it that year of Southampton’s ritual humiliation, as Leeds faltered when required to play their last League game a mere two days after a gruelling Cup Final. Imagine the outcry if one of the major teams had to do that today! And ask yourself if a Derby County or a Nottingham Forest are likely to be Champions again in the near future, blocked off as they are from that status by the oligarchy at the Premier League’s top table. There aren’t many more hackneyed phrases than “The Good Old Days” – but for those who like their sporting competition to have a wide and varied base, with the possibility of a good proportion of the participants actually having a chance to win in any given season – then the 60’s, 70’s and 80’s take some beating. 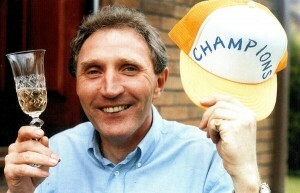 Leeds United fans like to refer to their team of 1992 as “The Last Champions”, and a convincing case can be made for this, looking at the transformation which took place shortly thereafter, the explosion in finances for the chosen few, and the small number of clubs – invariably backed by mega-millions – who have been Champions since. Even the once-mighty Liverpool FC has been affected. Despite Leeds United’s current problems, they have been Champions more recently than the Anfield Reds. It’s perhaps fitting that Leeds have a claim to the title of The Last Champions. As Super Leeds, they dominated English Football for a decade, without ever winning their due. Now that we can look back with misty eyes to a turning point for the game 21 years ago when the Premier League broke away, and the cash registers started to make more noise than disillusioned fans, we can possibly consider those 1992 Champions, nod to ourselves, and say yes; they were the last of the old guard, the final Champions of the Good Old Days. As epitaphs go, it’s not a bad one. 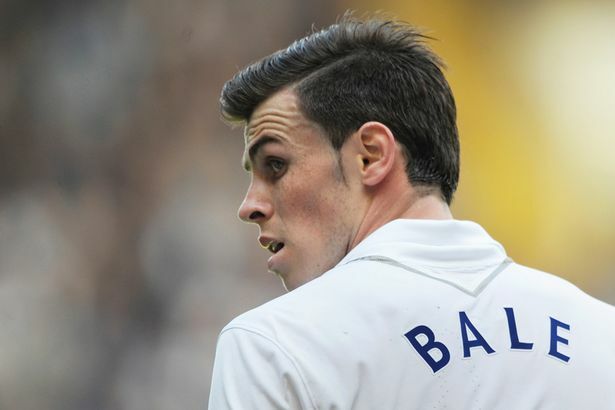 The least surprising transfer of the summer has finally been completed as Gareth Bale secured his longed-for move to the Bernebeu to become Real Madrid’s latest galáctico and thus deprive Spurs of roughly 50% of last year’s total team effectiveness. The price varies according to which source you read, but it’s an eye-watering figure which Spurs have already spent on half a dozen or so players in the hope that quantity may in some measure replace quality. It remains to be seen how Bale will fare at a big club, but his is a spectacular talent which arguably deserves a much bigger stage. Spurs meanwhile, having resigned themselves some time ago to the loss of their talisman, turned out at The Emirates yesterday with their friends in the media explaining to anyone who would listen that – despite their Bale-less attacking threat – they were now much better placed than opponents Arsenal to achieve success this season. The new definition of success in these commercialised Murdoch days is, of course, a top four finish: gone are the days when fans might argue about who will win what trophy. Now it’s all about whether your favourite club can qualify for the Champions League, and how many millions that will net. That those millions will for the most part disappear into the bank accounts of their overpaid heroes is a point that apparently does not faze today’s Premier League fan. The media as an entity appears to have a problem with Arsenal, and they seem disposed to address this by making more of a fuss of Tottenham than such a pallid power really merit. The BBC in particular sound almost plaintive when they reflect on the fact that Arsenal’s recent Champions League qualifications have been at the expense of Spurs and their assertions that things might now be different – with a new-look Tottenham transcending tired old Arsenal – tend to be accompanied by a collective stamp of the foot and sullen pout. But all the media posturing in the world will not change a thing on the field, and it was on the immaculate turf of the magnificent home of Arsenal that Spurs yesterday received a lesson in how little things have changed where the balance of power in North London is concerned. After an adrenalin-fueled bright opening, Spurs were never really at the races in this latest derby. Once Arsenal had ridden out that initial flurry their own game took effortless control – helped by the fact that they had taken the lead while the tide was still slightly against them. A gorgeous move from centre midfield across to the right found Tomas Rosicky in acres of space and he used it to full effect with a penetrating low cross into the box. And there was Olivier Giroud darting towards the near post to beat Hugo Lloris with a sweet finish from the outside of his left foot, finding the tiniest gap between the hapless ‘keeper and the upright to give Arsenal the lead. For the rest of the first half, Arsenal threatened to increase their advantage against a Spurs side knocked out of their early, optimistic stride. After the interval, the away side began to make their presence more effectively felt, pressing Arsenal back in search of a point at least. But although there were alarms, and despite quite intense late pressure as the the home team defended in depth, the breakthrough failed to appear. Tottenham could have no real complaints about the result, and may reflect by way of consolation that at least they didn’t ship five this time, as on the last two visits to The Emirates. Arsenal have an altogether more positive world view today; three derby points in the bag, ahead of Spurs in the table as they finished last season, and today they appear to have made a transfer statement as well, with the pending capture of Mesut Ozil from Real Madrid – a transfer that may, ironically, have been made possible by Tottenham’s failure to hang on to Bale. Players come and players go as millions upon millions change hands in the transfer market. But a happy Arsene Wenger may well reflect today that some things are less susceptible to change, Arsenal’s dominance of North London being one among them. Ozil will add considerably to the Gunners’ ammunition and firing power, just as the loss of Bale will inevitably weaken Spurs. It’s been a good weekend after all for the Gooners. Monday 2nd September 2013 marks the centenary of the birth of Bill Shankly OBE, Liverpool’s legendary gravel-voiced Scottish manager, the man who took a moribund club and transformed it into a European power in a manner rivaled only by his great friend and contemporary rival, Don Revie at Leeds United. It was fitting, therefore, that Liverpool should choose their last fixture before this notable anniversary to deliver a resounding “We are back” message to the rest of the top division, deservedly beating a Man U side that was never allowed to play their own game, and succumbed to an early goal of devastating simplicity. Liverpool had entered the game on a high – two previous league games had yielded six precious points via steady 1-0 wins for a 100% record as Brendan Rodgers finally looks like putting his own stamp on this famous old club. The Reds started in a fluent and cohesive style and within four minutes they were ahead. A corner from the right was swung in and Daniel Agger showed great movement in the area to completely fox Rio Ferdinand, losing the defender to nip in front and get a firm header in on goal. As the ball arrowed towards the net, two Man U defenders looked able to deal with it, but there was Daniel Sturridge, celebrating his 24th birthday by sneaking between them to apply a decisive touch and send the ball into the net. Mayhem ensued around the ground, apart from the glum band of away supporters who were doubtless contemplating a long and possibly empty-handed trip back down south. After that, it was a question of plenty of possession for the away side, comfortably dealt with on the whole by Liverpool, who were content to blot out the Manchester attacks and wait for their chances to break away. Wayne Rooney was missing for Man U, and Robin van Persie was uncharacteristically subdued, his sole chance of note coming late on when he was in space on the right of the Liverpool area but put his shot well wide. New Man U boss David Moyes must have been hoping for a change of luck after 12 fruitless managerial appearances at Anfield, all as manager of Everton. His debut as Old Trafford manager turned out to be unlucky 13, but in reality luck didn’t have much to do with this result. To Liverpool’s credit, they seized their chance to take an early lead, and were thereafter little troubled despite surrendering the majority of the possession. It was a result to savour for all Liverpool fans, as any win over their bitter rivals must be – but to triumph over former Everton boss Moyes, on the eve of the 100th anniversary of the late great Shankly’s birth – this was a script it would have been hard to write. 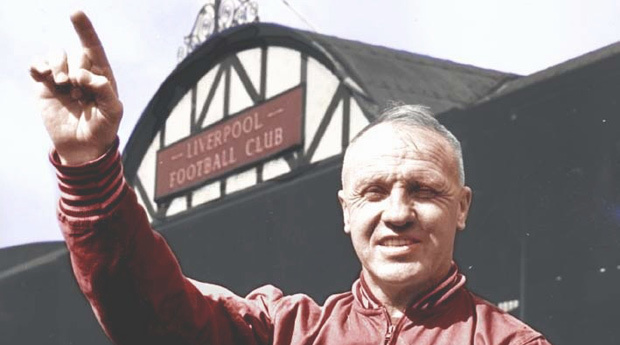 Shanks would be proud to see Liverpool sitting proudly at the top of the league with maximum points – it was the kind of thing he demanded. Whether Liverpool can maintain the early pace is another question, but on this evidence they will be hard to topple.